Geoff has been married to Tracey for 27 years!!! 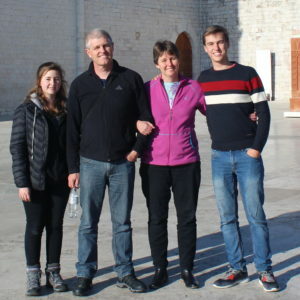 They are blessed with two children Tim and Caris, and also two dogs. Geoff is senior pastor at St Stephens in Claremont. He loves it most of all when people understand what a wonderful God we worship. He loves teaching the Bible and hanging out with people. Geoff also serves on the board of Arise a NGO that motivates people to consider adoption. He believes that we can solve South Africa’s problems in one generation if Christian families adopt children. He loves chocolate, ice cream and pretty much any desert which is why he has to run a Parkrun every Saturday. He also plays very bad golf. Cameron spent time studying a BCom Finance Degree at the University of Johannesburg. During his time at UJ, he was part of a student ministry called Campus Outreach. After graduating from university, he worked for ABSA Bank as an Investment Trader on the markets. Cameron’s heart is burned to see more people meet Jesus through more churches being planted. Not only ordinary churches but missional churches. This led to the planting of Red Post church up on the campus at the University of Cape Town. 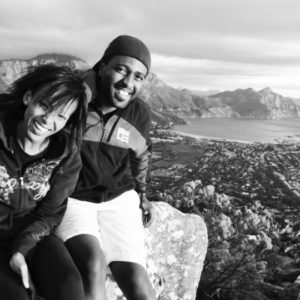 Cameron is married to Lelethu and have a two-year-old son Langelihle. He has a great desire to see non-Christians come to faith in Christ, and for Christians to grow in their understanding of what it means to follow Christ and live as members of a redeemed and holy community. Cameron is also a sport fanatic and enjoys playing and watching all sports. He plays soccer for a sports team and is known to punish his mates on squash courts regularly.